The Result: Thrupp Lake lost! 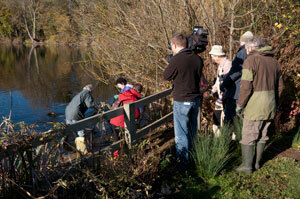 The Northmoor Trust project, Thrupp Lake : Mystery and Magic, has reached the final of theITV/Big Lottery Fund People’s Millions to be broadcast on ITV Meridian on 22nd November between 6.00pm and 6.30pm. The project is up against one other finalist and the outcome will be decided by a telephone vote to take place on the day. If they win, the Northmoor Trust will secure £50,000, which will be used to open up the lake and its shores, making it safe and accessible to everyone. Visitors will be able to enjoy the magnificent bird life and get close to unusual plants and animals. The funding will pay for board walks and a viewing platform for the disabled, a multi-sensory art trail, natural water garden with water wheel and reed-bed and much more. It is done! Lines have now closed. Do not phone in. Your vote will not be counted, but you will still be charged for the call. Local people fought valiantly to save this beautiful and stunning lake from almost certain destruction. 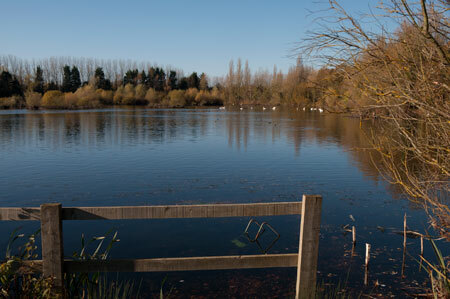 Now it is time to capitalise on all that hard work and make Thrupp Lake into something even more magical that everyone can enjoy to the full. Please make your votes count on November 22nd. Filming for the broadcast took place on Wednesday 10th November, which turned out to be a glorious sunny day in an otherwise wet week. Click on the photograph below for some more photographs. Filming for the broadcast, 10 November 2010. Unfortunately Thrupp Lake did not win. But it is not a disaster. No doubt other sources of funding will be found, and reaching the finals of a tv competition was certainly good publicity.